Your life is made by the things you do each and every day. Consistency over time leads to massive results. This means that the best way to change or improve your life is to change the things you do every day. Create new habits, break old “bad” habits, and suddenly you’re creating a new life for yourself. I am a huge fan of forming new habits and I’m always thinking of different habits to develop for myself. I am most known for my habit of running every day. I’ve been running at least one mile every day since May 25th, 2015. I don’t take days off, ever. And most days I run outside. This habit makes me a more consistent runner, it helps me stay healthy and in shape, and getting outside and moving my body every day has done tremendous things for my mental health over the years. I’m sort of a habit junky. If I want to change something in my life I usually try to figure out a habit that I can develop that will lead to the change I want to see. Here are my tried and true steps for developing habits that can change your life. One time I tried to develop the habit of coloring in my adult coloring book every day. It was back when adult coloring books were new and everyone was doing it. I kept seeing all of these people rave about how peaceful and happy they were after coloring and I wanted to experience that too. Except, I quickly learned that I don’t really like coloring. It’s fine to do now and then, but coloring every day just made me anxious and frustrated. I was not feeling peaceful and relaxed. The reason for my new habit was because everyone else was doing it. Not a good reason. So your first step when trying to develop a new habit is to have a good reason for why you want to develop the habit. What are you hoping to change? What improvements would you like to see? Why are you willing to put in all the work and effort that will be required to develop this habit (yes, it will be hard, always)? Have you ever decided you were going to start something new and then one or two days into your new adventure you realized it was too hard or no fun? That’s not exactly a great way to start developing a new habit. I know this sounds a little silly that I have to say this. If you want to develop a new habit, of course, that means you have to commit to doing the thing. But, I want you to actually commit and think it through. Make sure your reasons are strong before you even get started. Because once you decide to start, you will not stop. Now, you don’t have to commit to forever when you are starting out. When I started my run streak I hoped to make it 41 days (from Memorial Day to the 4th of July), but I told myself I just wanted to see how long I could make it and set my sights on the first couple of weeks. Way back then if you would have told me I’d still be on this run streak 1350+ days later I would have told you I must have been abducted by aliens. It was never my intention to make it this far. Don’t think you have to commit to anything for life. Start small, set a little baby goal and when you reach that goal just try for one day longer. And then you keep going one day at a time. 3. Do it. No Excuses. You’ll want to give yourself an out. You’ll have a really good reason. Everyone would agree that you were justified in missing a day. But you aren’t going to miss a day. You are developing a habit and habits need to be done consistently, so you’re going to show up whether you want to or not. The wind chill in my area for several days last week was around -40° to -50°. Guess who still went running every day? Me. Why? Because I made a commitment to myself and I honor the commitments I make with myself. That’s just who I am and what I do. If you legitimately forget, forgive yourself and keep going. I didn’t eat a salad yesterday at all. I remembered at 2 am this morning. Does that mean I’ve failed and I need to give up? Nope. Today I’ll be eating a salad and will continue on as if nothing happened. Because nothing did happen. It’s a new day and a new chance to keep moving forward. Don’t give up, even if you miss a day. Have you ever had a day when you were so busy, sick, tired, or whatever that you didn’t get a chance to brush your teeth? Does that mean that you are a failure and you’ll never be able to brush your teeth again? No way. You still brush your teeth every day, usually multiple times a day. Why? Because you are a person who values good hygiene and fresh breath. That didn’t change just because you had one, not so minty day. You want to tell somebody about the habit you are developing. You need to. It will be good for you. And maybe for them. I hashtagged my #runstreak on a Facebook post on my second day. One of my running friends saw it and decided to join me. She’s still running every day too. It feels amazing to know that I’m not alone in this crazy journey. When I decided to eat a salad every day I started making salads for dinner pretty often. My husband asked why, so I told him about my new habit. He thought it was a great idea. He doesn’t eat a salad every day, but if he’s around when I eat my salad he makes sure he gets some too. One of the other habits I’m working on this year is to play with my kids every week for at least 30 minutes. This isn’t a daily habit, but the same concepts still apply. I told my kids about my goal. You better believe they are making sure to remind me that I am committed to playing with them more often. I have a multi-tabbed spreadsheet listing the miles I have run for every day of my streak. I also keep track of the time. It’s fun to add it all up at the end of the month to find out how many hours I was out running. Most of my habits are tracked on a page in my bullet journal each month. I use a dotted notebook for my bullet journal so I’m able to make a grid table with a column for each day and a row for each of the habits I’m focusing on for the month. I fill in the corresponding squares for each habit I complete by the end of the day. I’m certainly not perfect at all my habits, and some of my habits are weekly habits (like playing with the kids), but I love to see all those squares filling up throughout the month. Tracking your progress helps you to see how you’re doing and it also keeps your habits at the front of your mind. When you create a visual way to track your habits and put it in a place you see every day you will have a constant reminder of the things you are trying to achieve. You’ll see all those filled in squares or X’s and you won’t want to break your streak. Trust me, after 1350+ days, I’ve learned that each new day you add to your streak makes it that much harder to even think about breaking your habit. I’ve created a 90-day habit tracker printable that works just like the bullet journal habit tracker that I personally use. You write the habits you want to track in the rows and then fill in the corresponding square each day you complete your habit. You can get a copy of the habit tracker here. When you put in all the effort required to develop a new habit you should reward yourself. This helps to give your brain that extra boost to reinforce that it’s on the right track. Celebrating your hard work is also just fun and feels good. When I hit a milestone on my run streak I try to either run a longer run to match the milestone (10 miles for 1,000 days, for example), or I go somewhere fun and adventurous for the day (a special trail or route that I especially enjoy). I’ve also celebrated running streak milestones with new running gear, ice cream, or a massage. An important thing to remember though is that your celebration should not derail all of your progress. While a small DQ Blizzard won’t derail all the benefits of my multi-year run streak I do try to keep food rewards to a minimum. Gorging on junk food is not a wise way to celebrate anything in life. In the same vein, if you’re working to develop a habit related to your spending and finances I wouldn’t necessarily recommend going on a spending spree as your way to celebrate your progress. Celebrations and rewards are good, but be creative to find healthy and responsible ways to celebrate your success and progress. 7. One at a time. In this post so far I have mentioned a lot of different habits that I have developed over the last few years. And many of these habits are still active in my life. That does not mean I started them all at the same time. It is very important that you focus on one habit at a time. I know it is tempting to want to start making changes in every area of your life all at once but have patience. You will get there. You need to start with one thing. Do that one thing every day until it becomes ingrained, a normal part of your day, and who you are. Then you can add another habit. You may hear people say that it takes 21 days to develop a habit, some say it takes 30 days or longer. The research is a little mixed. The reality is that it depends on the habit, the circumstances, the reason, and the person. I can’t prescribe a specific amount of time to you in which your habit will become second nature. I can assure you that even when your habit does become second nature it will still take effort and hard work to maintain it. It’s still hard for me to go out for my run some days, but my habit is developed enough that I do it anyway. Pick one habit, focus on that one habit for a few weeks and see how it’s going. If you feel confident you can add another habit. If you are still struggling to do it every day give yourself a little more time before you add in anything new. 8. Be specific and measurable. What exactly are you going to do? How long or how many need to be done to count? Before my run streak started I had tried to have other exercise streaks. I’d try to develop the habit of exercising daily but I didn’t specify anything beyond that. If your goal is just to exercise every day then you can talk yourself into counting just about everything. I did a couple pushups, that counts. I went up and down the stairs a lot today, that counts. I had to park really far away in the parking lot, that counts. Except I don’t actually think any of those things should count. Before you even get to day one of your habit you need to be very specific in what exactly you will do for your habit and then create a measurable way to define what counts. Your exhausted willpower will try to tell you that everything counts once you get going, so spell it out from the get-go. I run at least one full mile every day. It can be a slow mile, but it has to be running. It can be on a treadmill, a track, a trail, the road, or even circles around my backyard. But I don’t count bicycling, the elliptical, walking, or any other movements. It has to actually be running and it has to be at least a full mile. You need to be this specific. If you can’t currently run a full mile you should not commit to running a full mile every day. If you drink a six-pack of diet sodas every day it will be really hard to keep up the habit if you decide to quit cold turkey. You might want to start with cutting back to five, then four, and so on. Baby steps are still better than no steps. In 2017 I decided that I wanted to be able to do 50 pushups in a row. In January of that year, I started by doing 5 pushups in a row each day. It took most of the month to be able to work up to 5 regular pushups in a row with no breaks and good form. Then in February, I worked to do 10 pushups in a row. I continued adding 5 pushups a month and working on it nearly every day so that by the end of December I had finally reached my goal of being able to do 50 pushups in a row. It took an entire year to reach my goal, but when you do pushups every day for an entire year, you can experience significant results. Consistent baby steps will get you a lot closer to your goal than leaps, fits and starts, and giving up because it’s just too hard. If you try to go big too soon you will crash and burn. But if you carefully shuffle along with small steps you are less likely to give up and more likely to reach your ultimate destination. When coming up with the habits you want to develop keep it small and doable. You can always go bigger later. 10. Keep at it for the long-haul. When I first set out to run every day I hoped to make it a couple weeks, then I wanted to reach the 41-day goal, and then I decided to just keep going. One step, one mile, one day at a time I consistently make the choice to just keep at it. I don’t know when my streak will end, but I intend to keep going as long as my body and life allows. When you are starting to develop a new habit you should commit yourself to a short-term goal and take things one day at a time. However, when you reach your short term goal that doesn’t necessarily mean you’re off the hook. Why did you decide to develop the habit in the first place? Probably because the habit itself or the results of the habit are really good for you. Which means that when you get to the end of your original goal it might be in your best interest to keep going. Not every habit needs to be continued for life. After my “year of pushups” I did not keep adding 5 pushups every month. I reevaluated and decided on a different strength goal I wanted to pursue. So although I’m not doing pushups every day, I’m still working to build my physical strength on a regular basis. Tweaking and adjusting your habits is a great idea as your life and goals progress. But if a habit is still serving you, even if it’s hard to keep doing, you may want to consider keeping at it. It’s a whole lot easier for me to get my daily run in now than it was three and a half years ago. But there are still a lot of days when I just don’t want to and it takes a lot of effort and determination to get out there and run. There is a false belief out there that if something becomes a habit then you never have to think about it and it is never difficult for you to do. I’ve found that for most habits this isn’t actually true. Sure, you can probably think of a few habits that are so ingrained that it takes effort to not do them. Have you ever wanted to go to the store after work but as you are driving it’s like your car auto-pilots itself home? Your habit is to go straight home, so it takes extra focus to change that up. However, for most of the intentional habits you develop in your life, there will always be a little extra brain power, focus, and intentionality required. That doesn’t mean you haven’t developed the habit, it simply means your brain prefers laziness to good choices. Good thing you have more control over yourself than your lazy brain does. Show up, every day, for as long as you can and just see how much it changes your life. Pick one area of your life that you would like to improve. Think of one small habit you could develop to improve in this area of life. Use the tips above to develop that habit over the next few weeks. Start today. And don’t forget to grab the 90-day habit tracker to track your success. For additional guidance on setting goals and habits be sure to check out my new Quarterly Goal Planning Workbook. The difference between goals and habits and why you need both. Free 37 day Email “Streak Challenge” to encourage you in developing a new daily habit. Several months back I got the grand idea to start a weekly wrap-up style post to share bits and pieces of my daily life and progress on my major goals for the year. I loved the idea of doing a weekly wrap up, but I’ve realized that doing it in a weekly format just doesn’t work well for me. So, I’m taking the same concept and rolling it into a new monthly wrap up instead! 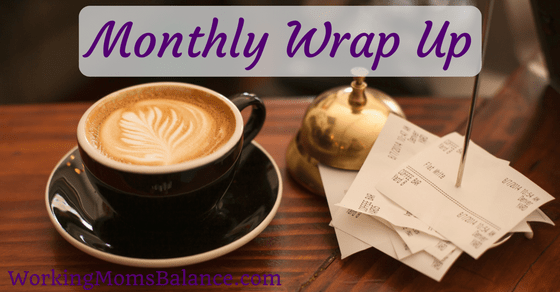 The weekly wrap-ups were only supposed to be a once in a while kind of thing, but I’m hoping these new monthly wrap-ups become a regular feature that I put together each month. We’ll see how it goes! Be sure to let me know your thoughts on these posts so I know if they are helpful or interesting to you. June was a bit of a rough month for me. I’m working on several different things and I feel like I have a lot of balls spinning in the air that I’m trying to juggle. I don’t know that I’ve been balancing everything as well as I like, but I’m making baby steps of progress toward my goals. I’ve started to dedicate a couple pages in my bullet journal each month to jot down things I’m learning. These might be quotes I’ve read in a book, heard on a podcast, or even things I’ve felt God impressing upon my heart throughout my day. It has been fun to take note of these things. Here are some of the things I’ve learned this month. These are written as I’ve jotted them down, so they may not be perfect sentences or even fully developed thoughts, but I hope they speak to you in some way. The enemy of excellence is isolation. Jesus didn’t talk about a world full of evil that we need to be rescued from. He created a chance for redemption. God’s created world is good! Jesus came not to rescue us from a bad world but to redeem His creation and make it good again. The gospel is not freedom from this evil world, the gospel is the message that the kingdom of God has arrived to set things right again. “I believe in my ability to get this result, no matter how long it takes, how many times I fail, or what I need to learn.” (Some good ole positive thinking and self-talk from the amazing Brooke Castillo). Don’t fake it til you make it, believe it til you become it. (Jeff Goins talking about his new book Real Artists Don’t Starve). Empathy = understanding someone else’s needs + acting to fix them. It doesn’t actually help anyone just to understand someone else’s needs. Nor is it helpful to try to fix needs you don’t truly understand. To really be empathetic you must have both. (from Jon Acuff in Do Over). If you’d like to read about the goals and habits I set for myself this year, you can check them out in this post. I ran a total of 61.2 miles this month. June is notoriously a low mileage month for me. I’m not entirely sure why. I think I’m just usually quite busy and working to adjust to the summer heat makes me unmotivated to put in a whole lot of miles. I didn’t have a goal this month (other than to run daily) and I’m not in major training mode, so this was plenty good. I have a goal of working to be able to do 50 full pushups in a row by the end of the year. I’m talking the “manly” no knees variety. I’m adding 5 pushups a month. I try to do my monthly number of pushups each day. I miss a few days here and there, but doing it most days helps me build up the strength and consistency. I can now do 25 pushups in a row! For July, the goal will now be 30. I keep track of the days I have an actual quiet time/devotional time each month. If I don’t track the things I’m trying to develop as habits then it’s hard to know if they are actually becoming a habit. I’m happy to say that I had my devotional time for 28 out of the 30 days in June! I only missed on the days we were traveling away from home. I started this year reading a lot and then I took a bit of a break to try to focus on other things, but I’ve learned that I just love reading too much to put it off altogether. This month I finished 3 books. Also, my one thing for the #WMBStreakChallenge was to write at least 500 words every single day. I’m proud to say I made it. I have tried so many times to write every day, but have always struggled. It feels so good to have finally found success with this goal. I’ll be continuing to write each weekday now that the streak is over, but I’ll give myself the weekends off (and likely holidays and vacation days). I have no races scheduled this month and I’m very excited about that! I ran a lot of races already this year and my husband ran many of them with me. Our “race budget” was getting a little painful. I am planning to do another half at the end of August, so I’ll be ramping my training back up to half marathon levels, but otherwise, I’m taking it pretty easy this month. I also had a goal of doing some heavy weight training with squats and deadlifts this year. For now, I’ve put that goal on hold as I realized I’m not confident enough to lift heavy without a spotter and I actually don’t like working out with other people around (it’s my me time!). I’m working on coming up with a different strength training plan that doesn’t involve lifting heavy, something that fits my interests a little more. My goal is to read 4 books this month. I’ve already finished two and I’m close to finishing three others so I think I’ll far surpass this one. Summers are made for reading I guess. “Environmental” just means my surroundings when I’m talking about my goals, which usually just relates to some form of keeping my house clean, which is a struggle for me. This month my goal is to go to bed with a spotless kitchen at least 15 times. This might sound ridiculously easy to most of you, but it is a struggle for me. I love waking up to a clean kitchen but I also love relaxing with my kids after a long day of work and cooking, so we usually don’t clean up well after dinner. I’m really trying to break that habit and spend a few minutes each night cleaning up the kitchen instead of saving that task for the next morning. My husband and I are going on a little vacation at the end of the month for our 10th Anniversary! I am so excited. We’ll be spending a few days at a bed and breakfast on Mackinac Island up in Michigan while our kids stay at their grandparent’s house (my in-laws). I anticipate that this will be a really fun trip for us, we’ll be bringing our bikes so our plan is to go on daily runs, hikes, and bike rides to explore the island. And the goal is to make this a cash trip. We are getting close to paying off the last bit of our credit card debt, so I’m not trying to add to it. I’ve been working hard to add to our vacation category in our YNAB budget for a while and I’m not expecting this to be an expensive trip, so we should be fine with this goal. What did your learn or accomplish during the month of June? Are you making progress toward your goals? What are you aiming to complete this month? Let me know in the comments! The life of a working mom looks different for everyone. Some working moms seem to have it all together. 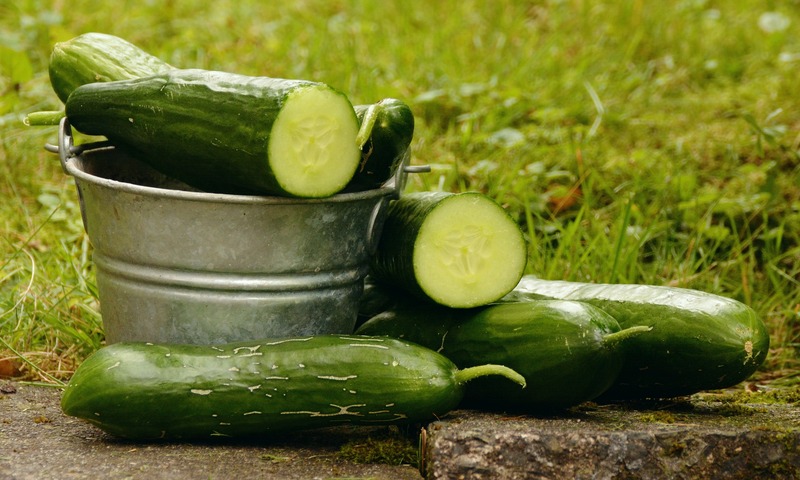 They can breeze through life without ever losing their calm all while maintaining a perfectly manicured, immaculate presentation in all areas of life. The rest of us would glare and throw peanuts at her image of perfection if only we had a free moment to take a breath. We’re constantly on the go, stressed out, and usually a mess. 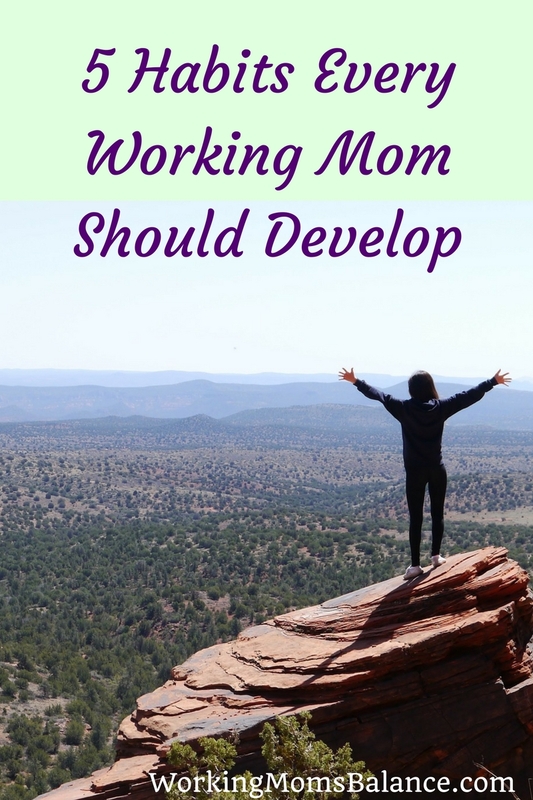 What is it that makes the working mom life look so easy for some but so stressful and chaotic for others? Most of the time, the calm, cool, and collected moms have developed strong habits that serve to make their lives more manageable, organized, and peaceful. Before we get to far, I want to make it clear that the life of a mother is hard. Ridiculously hard. Throw in a full time job, school functions, church and volunteer responsibilities, and a marriage to maintain, and the life of a working mother is next to impossible to survive. Even the calm, cool mom who has it all together is struggling in some ways. It is not “easy” for anyone and we should never buy into the lie that there is some image of perfection and ease that we can someday hope to attain. It will always be hard, there will always be stressful, chaotic days. However, it doesn’t have to always feel like we’re drowning. Life can actually be really fun and beautiful and enjoyable, and most importantly, it should be all of those things. If you have spent far too long in survival mode, just trying to keep a million balls in the air, it’s time to take a deep breath. Take a step back from your crazy, chaotic life and develop some habits and strategies that will serve to bring more calm and order to your life so you actually have a chance to enjoy this one, short life that you have been blessed with. Here are five key habits for working moms that the most calm, cool, and collected women you know have likely mastered. If you are struggling to keep your calm, take a few minutes to consider your circumstances and determine which of these five habits are missing from your life, and start finding ways to develop them today. I’m not talking about weekly trips to the spa for a massage, facial, and express mani and pedi, those are called indulgences and treats. They are nice to have, but not a requirement for self-care. When I talk about self-care I mean things like eating nutritious foods, drinking a lot of water, staying active, and getting enough sleep. Self-care is also about doing things that refresh us which might include reading a book, spending time with friends, listening to music, or just finding a few minutes of quiet and calm each day. Have you heard the saying “You can’t give from an empty cup”? You have a lot of responsibilities on your plate, you’re juggling a lot of things. The only way to keep up with everything you have going on is to bring your best self to life, every single day. The way to do that is to prioritize taking care of yourself over everything else. It might feel like you don’t have the time to worry about self-care, but I promise you, if you take care of yourself, you will have more energy, more focus, and more desire to get everything else done. Self-care and self-prioritization is not selfish. By making sure you are healthy, well rested, and refreshed, you will have far more to give to others. It makes you a better person, a better mother, and a better employee. Just try it for a while and you’ll see what I mean. Your boss asks you to work on an extra project that’s going to require extra hours and extra travel time in the coming months. The church asks you to head up a new committee. Your kid’s school wants you to volunteer in the classroom once a week. The cheerleading coach wants you to assist with practices. That new friend wants to meet for coffee to discuss her new business venture. You’ve been invited to yet another fundraiser next week. The list of people pulling for our time and abilities is never-ending. You have limited resources. Yes, you want to be a good employee, mother, friend, and all around person, but that doesn’t mean you have to do everything you are asked. You have the option to say “no”. Always. You get to make the call. It is your life. You are the only one who gets to make the final decision for how you live your life. Don’t give control of your life to everyone and every opportunity that comes along. Recognize your priorities and what those look like. Just because God is your first and ultimate priority in life, doesn’t mean you have to serve on every single committee that does good things in your community. Talk to God and find out exactly where He is leading you to serve (or not serve), and then say “no” to everything else. Your kids are really important to you. You already miss out on so much as a working mom. I get it. But just because your kids are a priority, doesn’t mean all of their clubs and sports and schools and activities need to be your priority as well. Talk to your kids about what is best for them to realistically be involved in and discuss with them what role you are able to play in all of their various activities. Your participation in any event or activity should be a personal and family decision, not one made out of guilt or obligation to someone who isn’t even a part of your family. If your schedule feels out of control, take some time to look at all of your responsibilities, determine where your priorities lie, and start saying “no” and stepping away from the things that are not serving you and your priorities in this season of life. No one called you to be superwoman. You cannot and should not do everything. Who would want to live like that? Do the things that matter most to you and the things that make you the happiest and get rid of the rest. That might mean delegating some of your work assignments to another member of your team. It might look like hiring a cleaning person to come in a few times a month to vacuum your floors and scrub your toilets. Maybe you need to figure out a carpool schedule with a mom in your neighborhood so you’re not driving all over the city everyday. It also might mean having a lengthy discussion with your husband to redistribute some of the household chores and responsibilities. You don’t have to do everything all yourself. You don’t have superhuman abilities. 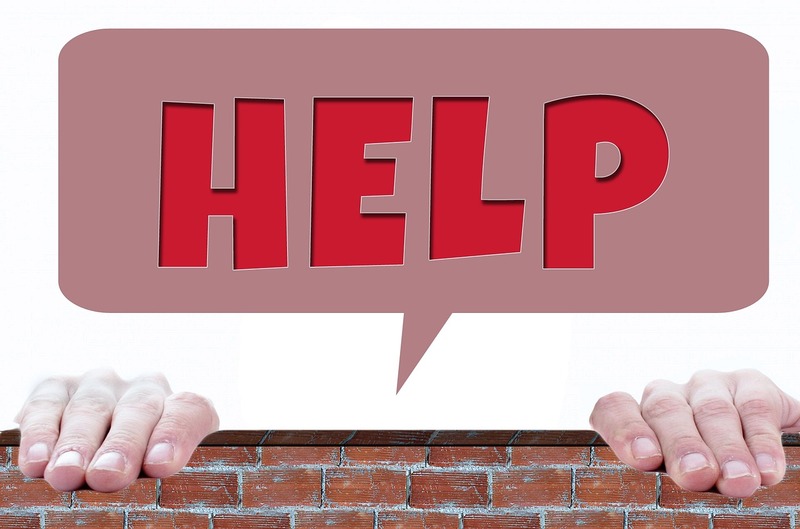 It’s not only okay to ask for help, but for most people, it’s a requirement for survival. We were made for community. We were made to live with one another, help one another, and depend on one another. Stop trying to do everything yourself. You have specific skills and abilities given to you by God, live within your skills, abilities, and desires, and find help for everything else. Your kids can probably do far more than you let them. Our goal as parents is to raise bright, intelligent, capable, compassionate kids into bright, intelligent, capable compassionate adults, or something along those lines. Which means we must give them opportunities to be bright, intelligent, capable, and compassionate. Yes, you can fold towels way better than your kids can. It’s true that when you sweep up the floors they look a lot better than when your son does it. And you can empty the dishwasher in half the time it takes for your daughter to do it. But just because you can, doesn’t mean you should. Your kids won’t ever learn how to do things well or efficiently if they are never given the opportunity to try. Start helping your kids become independent early by assigning household responsibilities to them and then step back and let them actually be responsible for those tasks. Don’t go back in and refold the towels, don’t follow behind them with your own broom, and don’t rearrange the dishwasher. You will need to take some time to teach and train your kids. There will be a period of coaching and redirecting. And there will be times when you just offer grace and do the job yourself. But your goal should always be to guide your children into doing things for themselves and taking over some of the household responsibilities. It might take a little extra time on the front end, but imagine how much time you’ll save in just a few short months when you can cross that task off your to do list for good (or at least until you send them off to college). Being present is a big buzzword these days. And I think it is really important to be present in the exact moment that you are in. Trying to do a million things at a time, worrying about an event 3 hours from now, or being constantly glued to our phones does absolutely nothing to serve us and steals precious moments of our lives when we should instead be focused on the here and now. However, the most important thing we must do to allow ourselves to be present in each moment, is to carve out time for planning and preparing. I think this is often missed when we talk about being present. “You tell me to be present, but I have 1,365,452 things to accomplish today and not enough time in this century to get it all done. Of course I’m distracted and worried instead of being present.” Sound familiar? The only way to learn to slow down and be present for each of the precious moments of our lives is to take a step back on a regular basis to figure out where we’re going, what we’re doing, and how we’re going to get there. We must find the time in our busy lives to consider our priorities, develop some goals, and craft a plan to achieve the life we want to live. Spend some time developing your goals and plans. Hold a family meeting to discuss everyone’s schedules and responsibilities. Develop a family calendar system that actually works and keeps everyone informed. Create a daily schedule and to do list that keeps you on track. And then follow through. Trust your plan, trust your schedule, and live each moment doing exactly what should be done in that moment. 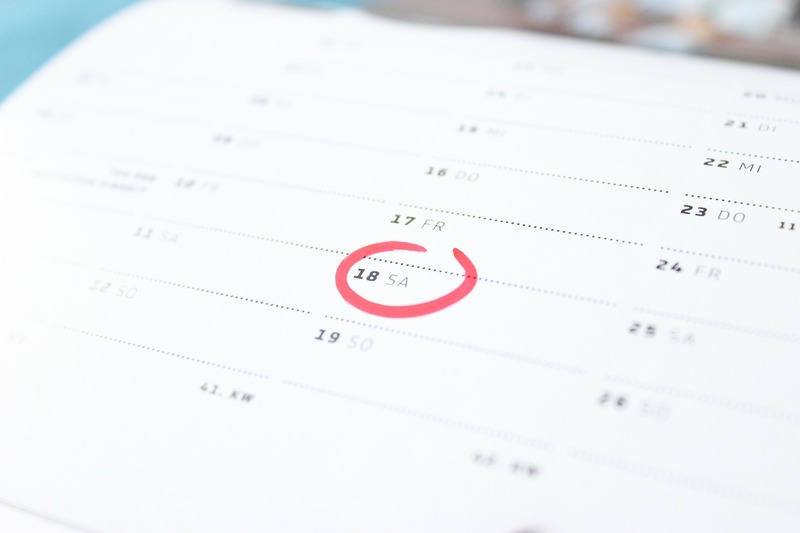 You won’t need to multi-task and stress and worry about that event next week, because you’ve taken the time to schedule it, plan for it, and now is the time to enjoy the here and now. The working mom life will never be easy and stress free. And I don’t think life would be very interesting if everything always went according to plan. There will be obstacles and setbacks, challenges and surprises that come along. But when we have systems, processes, and habits in place to keep us on track, we can manage those challenges that come our way as if they were just a small bump in the road. Take some time to consider the five habits listed above and determine which of these areas you struggle with the most. Develop a plan to start implementing this habit into your daily life by developing some routines and systems to get things on track. Focus on one thing you can do each day to help you develop a new habit in this area that will better serve you and your family. Let me know in the comments what area you are focusing on first. I’ve found an additional resource for each of the 5 habits listed above. Be sure to check out the extra resource for the habit you are hoping to work on first. Self Care – If you struggle with taking care of yourself, this post on 101 Ways to Practice Self-Care is a good place to start in finding out what self-care practices serve you best. 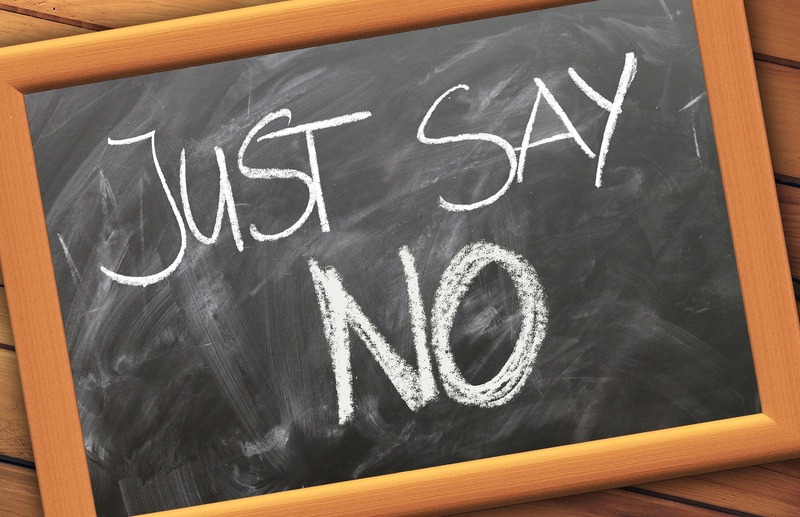 Just say No – Looking for help in determining what to say “no” to and how to actually follow through? These two books can help, Essentialism and Breaking Busy. Get Help – During my devotional time today, I was reading 1 Corinthians 12 which talks about how everyone was given different gifts and we all play a specific role as a part of the body of Christ. This really encouraged me to focus on my area of talent in life and find ways to delegate tasks to others who have different skills that I do. If you have a hard time feeling like it’s okay to get help, take a minute to read and pray over 1 Corinthians 12 and see what God might be leading you to get help with. 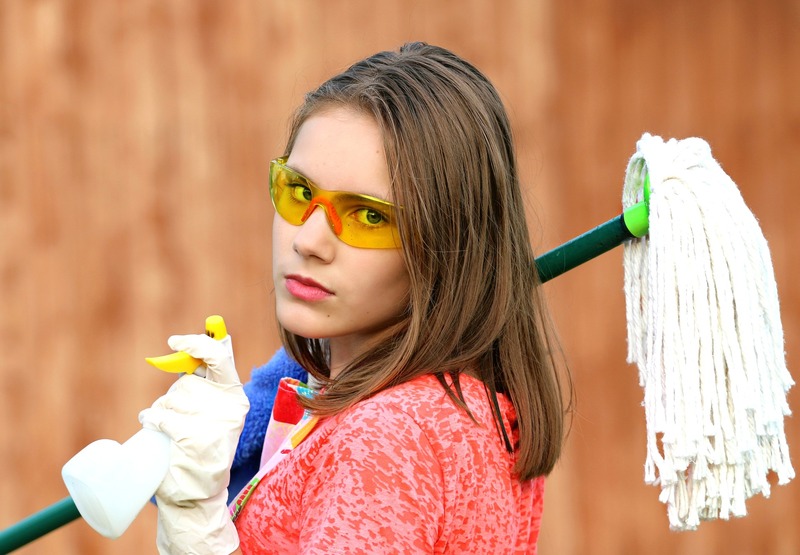 Work yourself out of a job – There are lots of lists of age-appropriate chores out there on the internet, I found this one to be really helpful if you need some ideas for tasks you can assign your kids. Looking ahead – If you struggle with setting goals, planning, and scheduling, I would highly recommend the Make over Your Mornings course by Crystal Paine. It is completely affordable and was incredibly helpful to me on my own journey to figure out how to map things out and create a plan and schedule that works. Have you joined us on Facebook yet? Be sure to Like the Working Mom’s Balance Facebook page. I try to share encouraging words and lots of further reading to keep inspiring and motivating you on your journey. See you there!